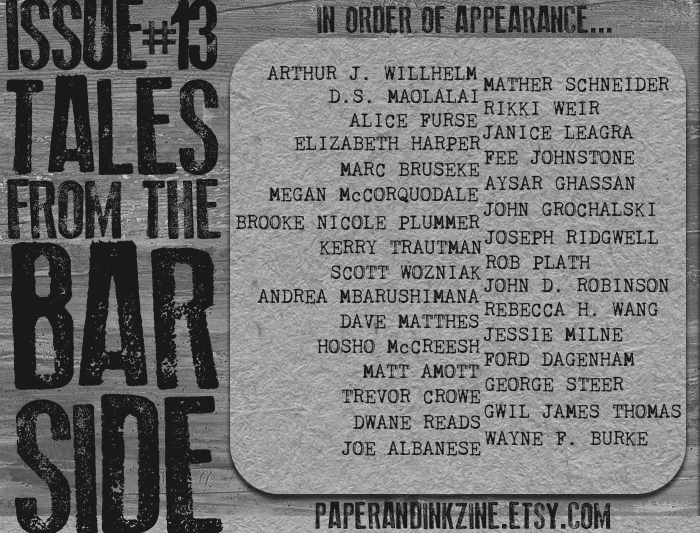 And by that I mean Paper & Ink #13, Tales From the Bar Side. It's easy as pie to get a copy, as you can order through ETSY. Numbers are limited, so don't sleep on it!